Capt. 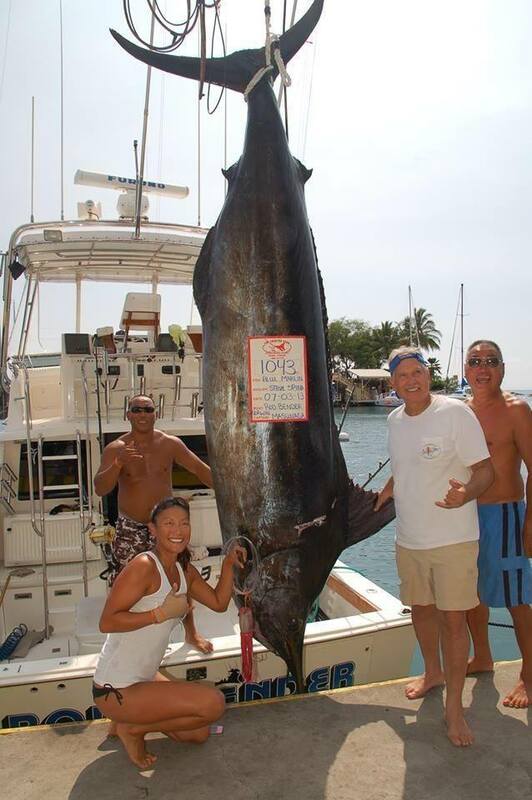 Kerwin Masunaga of the ROD BENDER and his crew were competing in the 2013 Marlin Magic Tournament when they hooked this massive marlin. Steve Spina angled the fish while Brent and Heather Masunaga cleared lines and prepared the deck for the battle. The team on the 35-foot Kona charter boat won the event handily.